Gamers of a certain vintage will remember a futuristic racing game released by Psygnosis in the late 90’s. No, not that one. I’m referring to Rollcage, the game that came after Wipeout, but just didn’t gain the same level of success. Rollcage had a fun concept where you had cars that could drive in either orientation. They were also able to drive up walls and on the ceilings of tunnels. Add in a healthy dose of speed and weapon power-ups and you had a game that had all the makings of a real hit. The trouble was, though, Wipeout already existed, and for a lot of people, that game was enough. Still, Rollcage did well enough to gain a fanbase and even spawn a sequel. 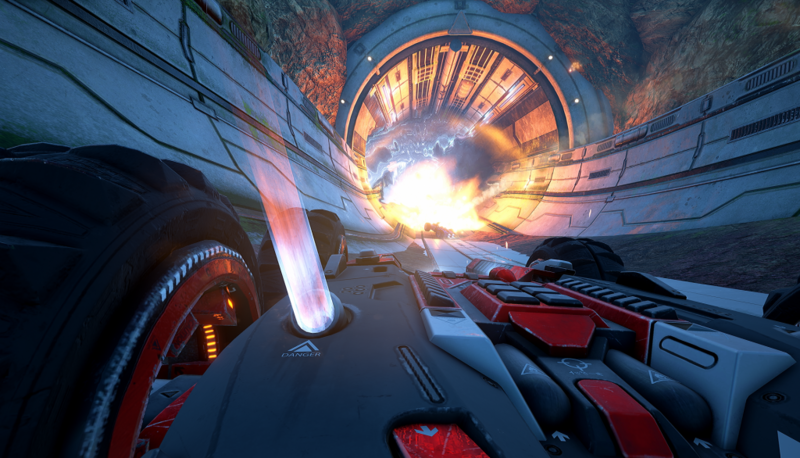 Now, we get GRIP, a game that aims to be the spiritual successor to Rollcage. In many ways, it succeeds, and in others, it’s quite rough around the edges. 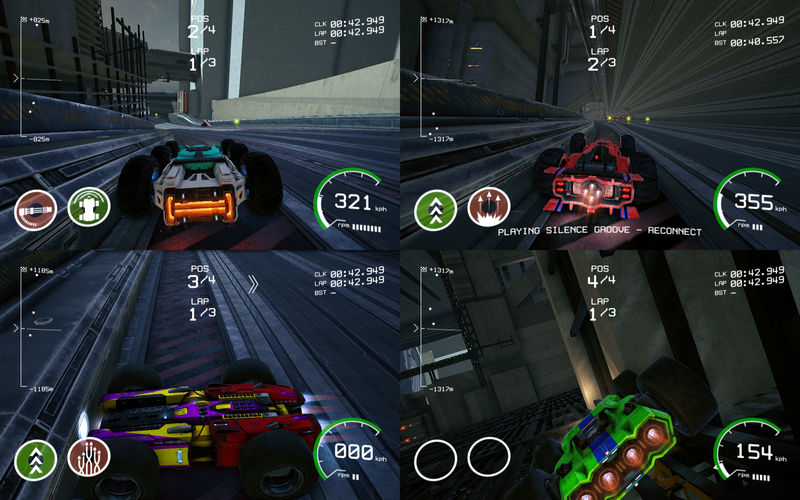 Like Rollcage before it, GRIP is a futuristic combat racing game that features orientation neutral cars. They can do all of the same things that made Rollcage so unique and fun, but now everything looks bigger and better. The game features a good selection of modes, including the main Campaign mode where you’ll go through numerous tournaments to claim the title of Champion. There are a handful of different event types. Traditional circuit races are the most common types that you’ll run into, though. There are also two types of battle events. One arena style where you’ll duke it out, gladiator-style in an arena. You’ll score points for damaging your opponents as well as for destroying objects in the arena. Your opponents will just ignore the objects, making that a decided advantage for you, and making this mode incredibly easy. There is also a race type where doing damage to your opponents is more important than finishing in first place. These take place on circuits, so naturally, you’d want to just let your opponents rocket out ahead and then blast them from behind. Unfortunately, that’s what these types of races tend to devolve down to. With that said, though, the actual racing really is excellent. 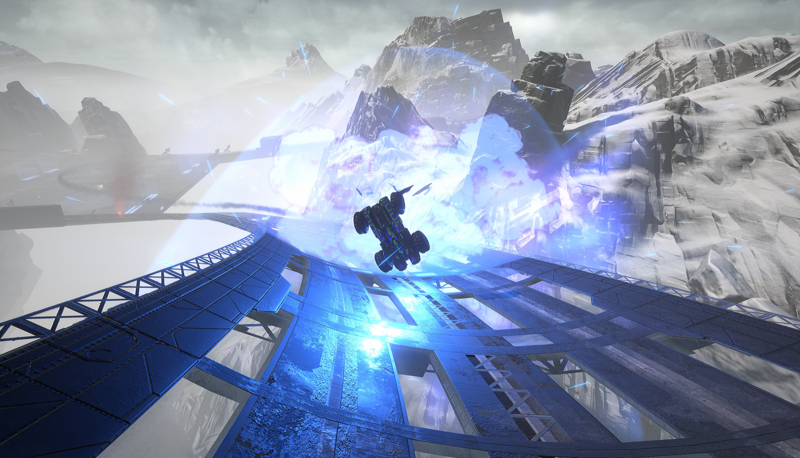 It’s fast, the controls are responsive, and the game will certainly give you that sense of vertigo when your car transitions from floor to ceiling or tumbles around like a beach ball. In some cases, the camera can end up completely confused about what to show you, ending up inside the car. This tends to only happen if you take a spill off the track or crash into walls or objects a lot. Bring the camera out a little bit and this isn’t such an issue anymore. Though GRIP has all of the makings of a great successor to Rollcage, it feels like the game just isn’t finished. Nowhere is this more noticeable than in the game’s use of rubberband AI. If you play on the easy setting, it honestly isn’t too difficult to win. The AI cars will certainly be able to catch you no matter what you do, but it’s also the case that you can catch up to them on the last lap. On harder settings though, the rubberbanding is skewed in the AI’s favour. They’ll always be on your tail, no matter how well you do, while it’ll be nearly impossible for you to catch up if you get behind. It’s an artifact of 90’s racers that really doesn’t hold up today. That said, the multiplayer modes are pretty solid. Split-screen couch racing is a great way to play GRIP and feels the most like Rollcage’s multiplayer. It’s also possible to play the game online. When you take the AI out of the mix, the game gets a lot more enjoyable. On top of that, the game’s interface feels sluggish as you’re navigating it. It doesn’t make the game unplayable or anything that severe, but it does make you feel that maybe a little more time in the oven would have helped this game a lot. You do get a lot for your money, though. There are numerous tournaments spread across 22 tracks; 15 cars with their own traits, as well as the ability to customize how they all look; a nice steady progression system that unlocks things at a decent pace, nicely done visuals, and a thumping electronic soundtrack. There really is a lot here to enjoy. 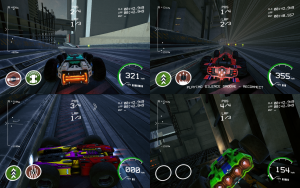 If the folks at Caged Element can fix the issues the game has, then GRIP could become a real classic in the arcade racing genre. 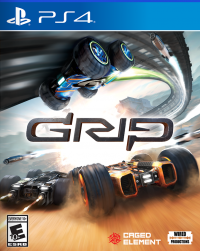 GRIP is the sort of game that will appeal to a very specific type of gamer. If you grew up playing Rollcage, you’ll be well served with GRIP. While the game certainly feels like a real successor to Rollcage, that also comes with the same problems. The biggest one being that Wipeout Omega Collection exists on the PS4 and Redout exists on all of the other platforms. That’s not to say that you should avoid GRIP, no, it’s a solid game in its own right. It, just like Rollcage is coming into a market that’s already populated by games that offer much of what it does, but do it with more polish.